‘With more than 1 in 3 people developing some form of Cancer in the UK, that means every 2 minutes someone in the UK is diagnosed with cancer.’ Cancer Research UK. 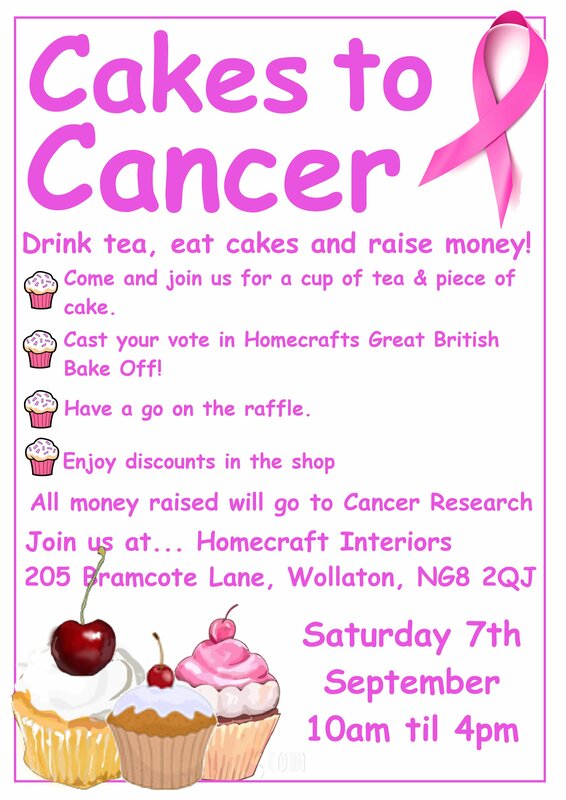 Therefore the staff at Homecraft would like to invite you to Cakes to Cancer, our version of the Great British Bake Off! The money raised will go to Cancer Research.